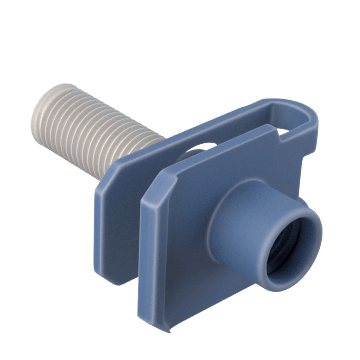 Also known as spring nuts, clip-on nuts wrap onto fastened work to reinforce it and aid alignment for speedy installation. 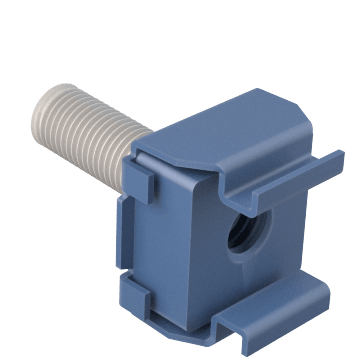 For a firmer hold than J-nuts, these U-shaped nuts wrap over so that screws or bolts pass through the top and bottom of the nut. 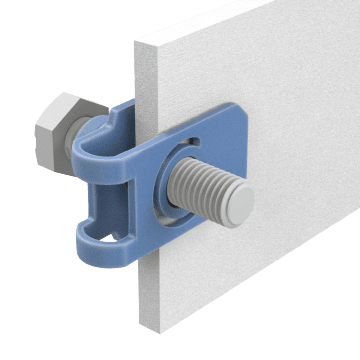 Slide these J-shaped nuts onto panels, sheet metal, and other thin materials to hold assemblies in place without welding or riveting. During installation, they float to compensate for misalignment. The spring-steel tabs on these nuts snap into square holes for a secure grip. 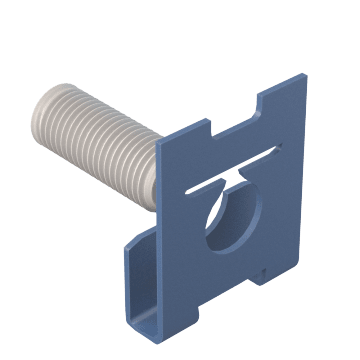 The nut floats within a cage to adjust for misalignment during installation. 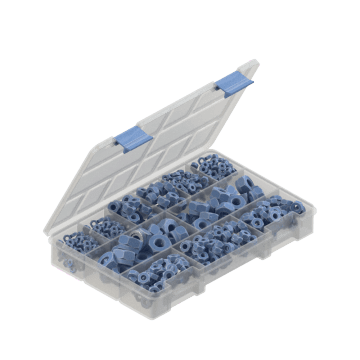 Good for blind-sided installation and rack mounting applications.